Have you ever dreamed of going on a cruise? I am a cruise lover! My family has taken about a dozen or so throughout the years and they always provide a million beautiful memories. 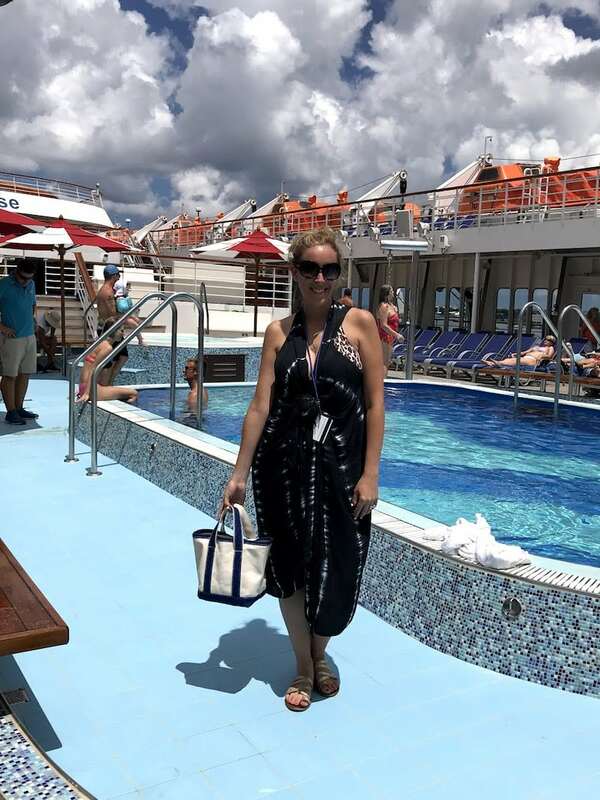 Last month, I took 40 women on board Carnival Cruise for a little getaway and, once again, the sea did not disappoint. There are so many reasons why you should book a cruise. But don’t just take my word for it. This October, be sure to follow the cruise industry online to find out about amazing destinations and experiences cruising has to offer. Did you know you could dive with Jacques Cousteau’s grandson? There are so many hidden gems you can discover on a cruise vacation! 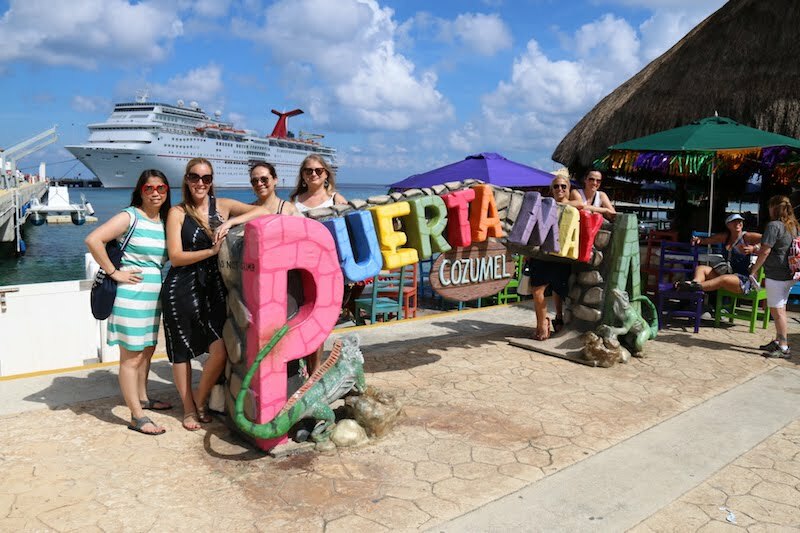 If you are looking for reasons why you should book a cruise – we have you covered! Should You Book A Cruise? October is a great time to book a cruise for a holiday getaway or a 2019 vacation adventure. Throughout October, the cruise industry will share a variety of favorite destinations and tips for travelers all around the world. I had to take part in it all! Like I’ve said, I consider myself a cruiser and with good reason. It’s one of the easiest ways to travel. When I go away, that’s the number one thing I look for – simplicity! Leave the planning up to the experts: I love to jump on board while wearing my santo wrap and without a care in the world. Every morning, I grab my itinerary and float around the boat as my schedule sees fit. If I make it to Bingo, then I make it to Bingo. If I want to squeeze in a spa appointment before dinner, I call down and make one. Life on the water is simple and fabulous. There’s no racing around a city trying to hit some crazy deadline. It’s just fun in the sun and I love every second of it. 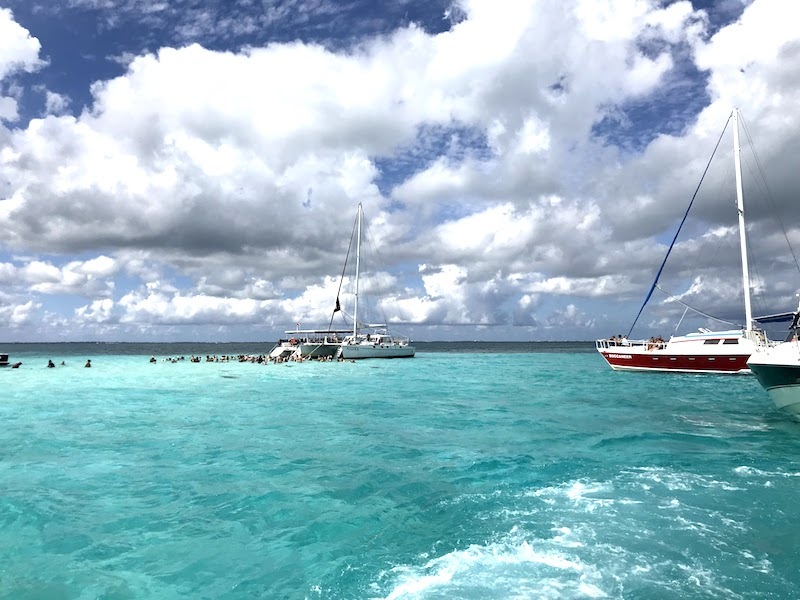 Ample time off the boat: Day excursions once you port can really add to your cruising experience! I love to explore using the suggested excursion list that the cruise provides. Again, the boat tells me where to be, when to be there, and then they take care of the rest. All I need to worry about is my SPF and my camera. THANK YOU! 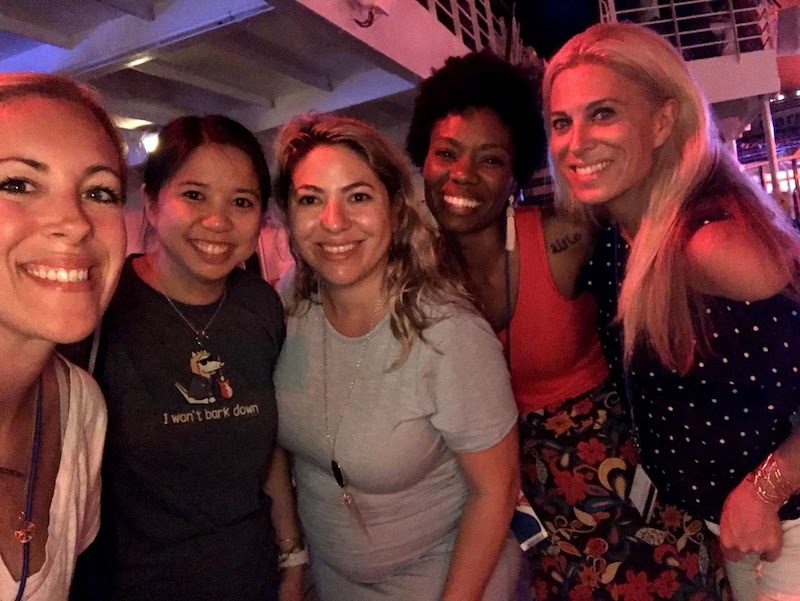 There’s always a dance party: While I was on the Carnival Cruise with my girlfriends, we danced every single night! So many nightclubs to choose from. And if one started to slow down, we just walked until we found another one that worked! It was amazing and offered up a ton of laughs. Once in a lifetime experiences: I am from NYC. Do you think I would be able to kiss a stingray and have it swim up my back if I jumped in the East River? I don’t think so! Taking a cruise offers experiences like THIS! These cannot be beat. I always look for something extraordinary to do when I go away. What’s going to be the annual “WOW” that I will remember for the rest of my life? There are so many to choose from while cruising! Plenty of time to shop: Land and sea – you aren’t always stuck on a boat. I know that’s a big misconception. But while you cruise, you will have plenty of time to walk around and shop, eat, sightsee, and more. Your vacation is completely customizable. Don’t feel like getting off the boat? Then don’t! Live your best life, girl! Noone can tell you how to cruise. 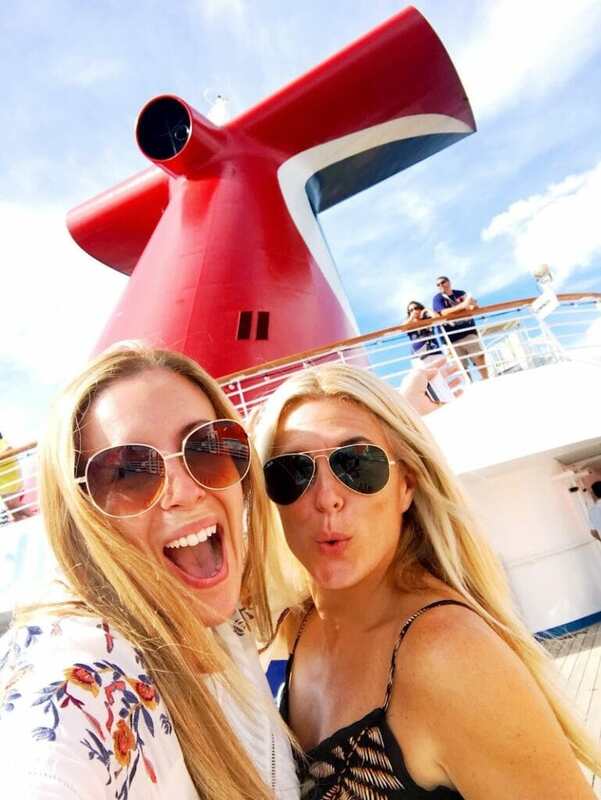 Bonding moments with people you love: I typically vacation with my family, but like I said, this last time I went away with friends on Carnival Cruise. We had a blast. There are quiet times. There are huge dance parties. There are scrumptious meals. There are views like these! It all is included – and more. Be sure to follow the cruise industry using the hashtag #ChooseCruise to learn more about why to choose and book a cruise vacation. 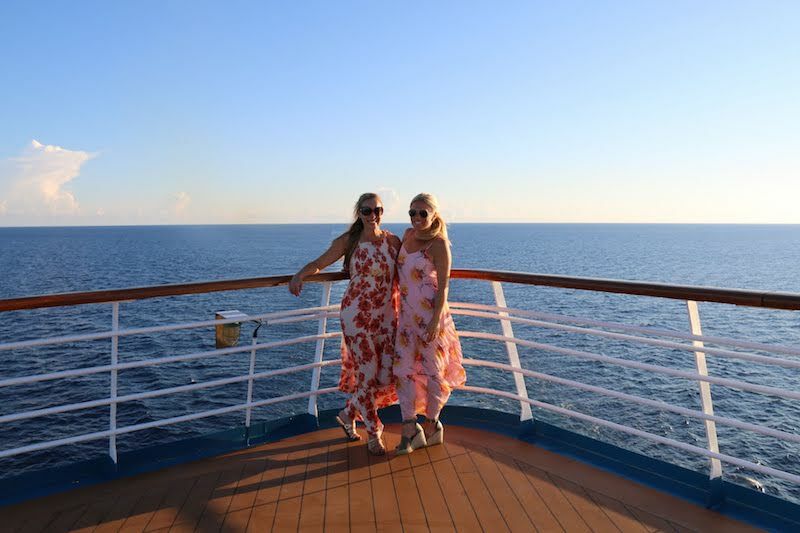 If you are looking for more reasons to book a cruise – you will find then on that hashtag. For sure! All month long!! I have great news! In case you want to start stocking up on sunscreen and sunglasses, we are offering a $25 gift card to one winner. Use the entry form below. One winner. Must be a US resident and 18 years or older. Good luck! i have never beeen on a cruise. But I would love to. I’ve never been no a cruise, but I love the idea of multiple food choices for meals. 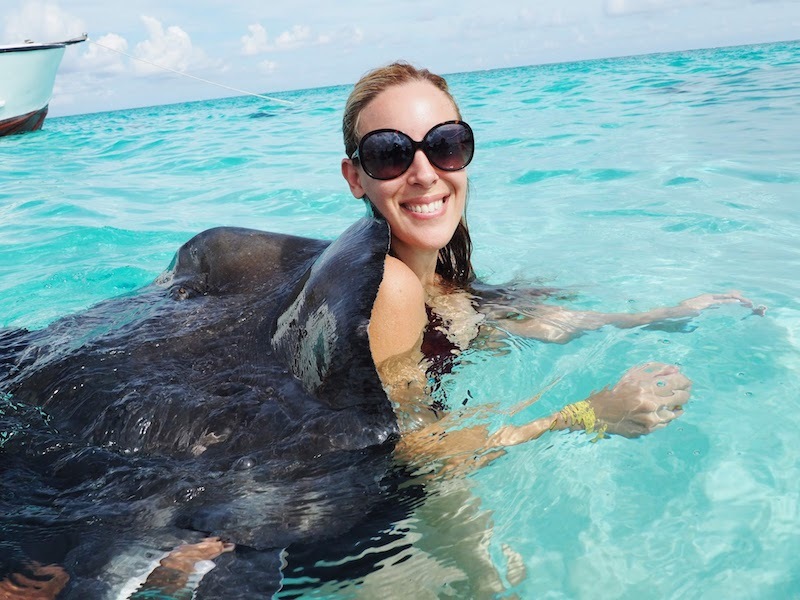 I would never let that stingray on my back. Did we not learn anything from Steve Irwin, the Crocodile Hunter? I wouldn’t even get in that water. I took a 4 hour night cruise once when I lived in Florida but have never taken a real cruise. I love being out on the deck with the breeze and enjoying time away from land and electronics with my husband and kids. I love that there are so many activities to do on a cruise for all ages! I do not know much about cruising so I need to try one to find out why cruising is so great. I’ve only been on a day cruise over to Freeport, Bahamas and half the boat was seasick! The great food on a cruise ship sounds good to me. I have never been on a cruise but I am pretty eating will be one of my favorite activities! I would love just to relax and enjoy meeting all kinds of people. I have not tried cruising yet, but I imagine it would be nice to be in the relaxing atmosphere and fresh air. Ive never been on a cruise! I love to explore new places on the day excursions. The great entertainment sounds wonderful. I have never been on a big cruise line, I would love to go someday! I am not a cruiser so I don’t know what I am missing. I love the awesome buffets! The traveling place to place sounds fun. I love meeting people from all over the world! I love being on the water and seeing NO land! I would love spending time with my friends on a cruise and being together. I have not been on a cruise yet. We are thinking about it for next year though. I have never been but I would love at being out at sea. It’s a one price, all-meals-included vacation option. 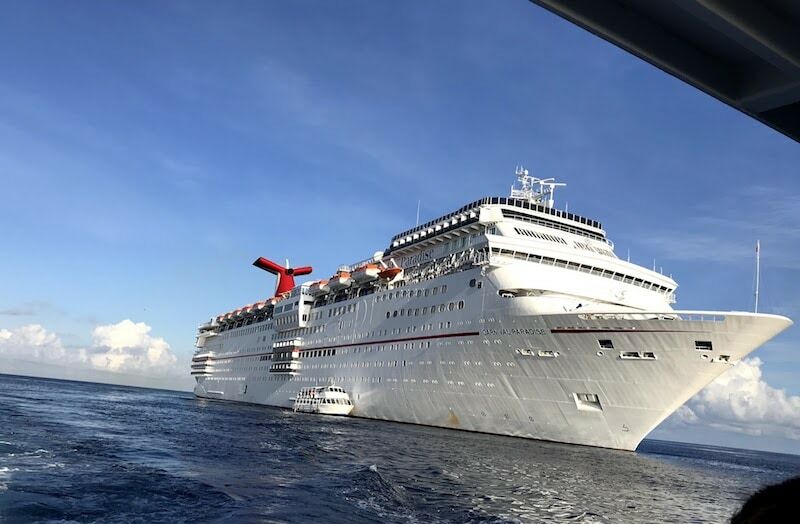 While you will usually have to factor in airfares to get you to wherever it is your cruise starts, once you are on board there’s pretty much nothing more to pay by way of meals, drinks and entertainment (alcohol excluded in some cases). I like that I don’t have to worry about parking, driving etc. I am sure my hubby and I would love the shows on the boat! I’ve never been on one, but I like that there are so many types and the different activities on board. I have not been one yet but I would love the buffets. I’ve never been but it looks really fun. Tropical cruises seem really nice. I love the peacefulness of being at sea! I would love the view while cruising. I have never been on a cruise, but I heard it’s so fun and relaxing. I’ve done dinner cruises but I think being on a boat with more than 100 people on it would stress me out. I love everything about cruising!! But I think I love the most that I don’t have to think about anything, the boat just takes me where I’m supposed to go and I can just sit back and enjoy the ship! All-inclusive AND they don’t lose your luggage! I like the idea of spending time with people you love and sharing quality time together. I like that everything is inclusive. I love that they have exercise classes and a gym on cruises! I have never been on a cruise but I think I would enjoy the entertainment at night. I like seeing new places from a different vantage point. I have never been but it looks like a lot of fun. Great food and so many things to do — very relaxing. I would love all the great views. I would love to go on a cruise with my husband for our 20th anniversary in 2 years. Hopefully we’ll be able to make it happen! I love that there are so many things you can do and also do nothing if you desire! I really love all the new places you can visit via cruising! It’s fun, relaxing an the food is excellent. I would love it for all the great fun and entertainment. Its the best way to travel! So many fun things on the boat, and the boat moves you to different fun places everyday! Never been on one but looks like fun! I love cruising because I enjoy being on the water, but I really love the food. I haven’t been on a cruise yet, but I really hope to some day! They look like a lot of fun! I loved all the food and entertainment and the great ports we visited. I would love being out at sea. Lots of fun, good entertainment and excellent food. I love all the yummy food and that you can still workout if you want to. Escaping the daily grind and getting away from it all. I’ve only been on 1 cruise, and I loved the food and visiting new places. I love how you have everything you need to have fun in one place. Plus a beautiful view and a couple neat excursions. I love the aspect of being so close to the water while on a cruise. Wow! I could use a vacy now! I have never been on a cruise so I couldn’t say what I love about it. I would love the alone time with my husband and being on the water. It sounds so relaxing! I have never been cruising but I love the idea of seeing different places everyday and trying all the different food. I love being able to travel and have a great time doing it! I actually have never been on a cruise, but would love to someday!